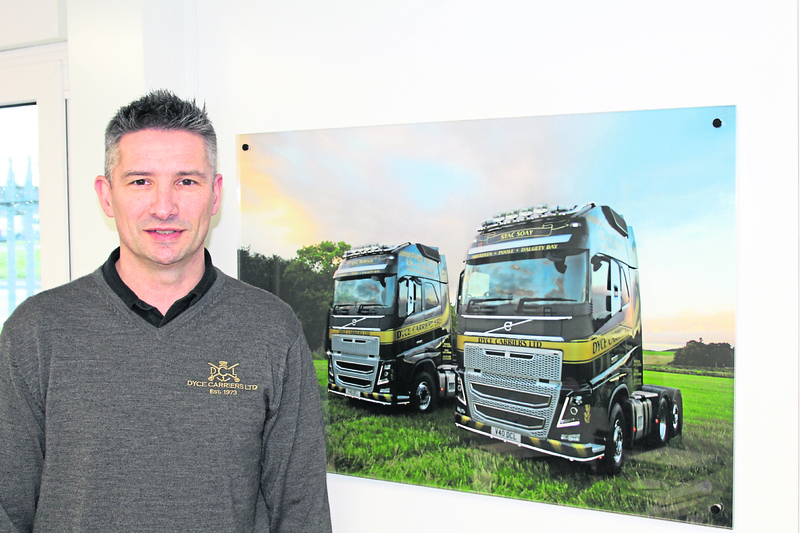 Dyce Carriers managing director Jason Moir. Road freight firm Dyce Carriers has expanded its operations with a new facility at Scotland’s largest container terminal. The Aberdeen firm’s new Grangemouth site is one of three outside the Granite City after Dalgety Bay, in Fife, and Poole, in Dorset. Investment in central Scotland was prompted by the recent oil and gas downturn. Dyce Carriers, which celebrated its 45th annniversary last year, employs more than 100 people and has an 80-strong fleet of HGVs. The company’s new 65,000sq ft facility at Grangemouth is a major boost for the firm’s service and operational capabilities. Only 25 miles from both Edinburgh and Glasgow, the site is perfectly located to become a key logistics hub for business throughout the UK. Dyce Carriers managing director Jason Moir said: “We recognised over the course of 2018 that there was an increase in demand for freight to be distributed to and from the central belt, specifically Grangemouth, due to it being the largest port in Scotland. “The opening of the facility demonstrates our commitment to meet the demands of our clients as well as our ambition to grow the business. . The expansion has created six new jobs in Grangemouth and the firm said there could be more to come in early 2019. Accounts lodged at Companies House show Dyce Carriers turned over £9.96 million during the 12 months to January 31 2018, up from £9.84m the year before. The firm charged back into the black in the latest period, with pre-tax profits of £197,455 after losses of about £210,000 in 2016-17. Family business Dyce Carriers was launched in 1973 by Dave and Jean Moir.